About - Beijing Daoyuan Advertising Co., Ltd.
“Based on professionalism and originated from integrity”is the root of ADAO to operate. Pay emphasis in clients’ value and service is the professional ethical code of ADAO. In 2000, it signed the partnership agreement with FAW Harbin light auto maker. In 2000, it signed partnership with Harbin light auto maker (the forerunner of FAW Harbin light auto maker), marking the official entrance into the professional auto dissemination domain. FAW Harbin light auto marker (shorted as “FAW Volkswagen”) is the classic & proud business case of ADAO. In 2000, it represents CCTV 5 and 5 ministers & committees to organize the large event “Service Science & Technology for Rural Areas ”. In 2001, it focused on the research of Chinese auto industry. Till now, in the way of professional dissemination & research of auto industry, ADAO gradually formed its unique core competitiveness--- the operational mode of“Advertisement+PR”. The biggest feature of the mode is in the cost control, the integral operation can save management cost substantially so as to achieve the maximum of cost benefit institutionally. In 2002, it became the organizer and agent of CCTV large event “CCTVAD Grand Ceremony and International TV AD Competition”. From 2002 to 2005, it consecutively carried out the researches such as AD performance, dissemination mix and industrial survey. In 2002, it became the strategic partnership of China Heavy Duty Truck Group and has been in partnership till now. In 2003, the AD of China Heavy Duty Truck Group won the most popular Top 20 Ads of “Economic Daily”. In 2002, it successfully organized CCTV AD grand ceremony, and gradually formed its brand might within the industry. Today, ADAO has ranked into Top 20 in the auto industry within mainland, China. ADAO provides its services to more than 30 companies, of which, 10 companies are auto clients. In 2007, it set up the PR Department, kicking off the full dissemination age of its “AD +PR” . Till now, ADAO has formed its 5 advantages including “AD+PR”, “Launch of media science”, “Event management and news PR”，“Auto TVC innovation production”and“Auto plane visual & innovative design”. From 2008 to 2010, it introduced IMC integral operation dissemination in an all round way and gradually formed ADAO’s basic technological framework. Including: planning and execution of“AD + PR”; research on regional market strategy; market supervision network+ mathematical statistics analysis; network operation dissemination; PR dissemination; maintenance of governmental PR; planning, organization, implementation of PR event; crisis management and so on. In 2013, it signed partnership agreement with FAW Western Region and became the full regional agent company of FAW. In July of 2014, PE South Africa, FAW Kooha Plant opened, showing the outstanding innovation of ADAO. FAW Kooha Plant not only is important in the auto history of South Africa, but also will be recorded into the history of FAW development. Globally, it is the most important and largest investment between Chinese entity company and South Africa. In the opening ceremony, the wonderful and featured large opening ceremony and the assembly ceremony of Jiefang J6 won the unanimous praise from the President of South African Mr. Zuma and the mainstream medias from all walks of life. The accurate insight and super executive force of ADAO helped FAW win a good fame in Russia and South Africa, and showed its professional service quality in international stage. In 2015, it signed partnership with Beijing Automotive Weiwang and became its full agent in terms of all its brands. Through the accurate positioning for the product and targeted groups, it generated the brand strategy that using “White Collar in Small & Micro enterprises”as the core promotion, and helped Beijing Automotive Weiwang finish its sales performance of 500,000 units. In 2015, ADAO was listed as the TOP 100-45 by Internet + PR dissemination industry. From 4th, Dec. To 5thDec. ,2015, FAW South Africa Subsidy, as the representative enterprise, was invited to attend the Johannesburg Summit of China-Africa Cooperation Forum, which was jointly hosted by Chairman Xi Jinping and President of South Africa Mr. Zuma. In 2015, it signed the partnership agreement with TOYOTA and became the AAA full brand agent company. Through the perfect combination between such three innovative concepts as porcelain technology & Taiji & environmental protection and AAA brands, making FAW TOYOTA root in people’s heart. In order to build the campus culture of FAW TOYOTA AAA brand, from 14thNov. to 20thNov., ADAO organized the event “FAW TOYOTA AUTO COMPUS CULTURAL TRIP”, which entering into 10 famous university of Beijing to disseminate AAA brand idea, the event attracted thousands of university students to focus and participate. In 2016, it successfully won the full brand agency right of FAW TOYOTA Vios models for the year of 2016. With its prospective market insight, strategic planning and featured innovation, ADAO will continue to win the trust from clients. In 2017, it successfully won the full brand agency right of FAW CROWN models for the year of 2017. With its superb innovation and accurate event execution, ADAO helped the models become the well-known brand with new connotation and young gene, simultaneously, it carried out the pilot driving and regional operation events throughout the country in order to promote the sales and brand influence. In 2017, it successfully won the PR agency right of FAW TOYOTA for the year of 2017. With its profound PR planning experience, ADAO helped carry out the events in may domains in the aspect of “Professionalism towards car and integrity towards people”, trying the best to make FAW TOYOTA brand root in China and make it become the favorite auto brand for Chinese consumers. In 2018, it successfully won the full brand agency right of FAW Audi (Western Region) for the year of 2018. Audi has been widely recognized by the Chinese masses with its good reputation and image glamour. ADAO helped Audi carry out PR and AD business in China’s Western Region, which will bring more wonders and splendid feeling to those consumers who are in fond of Audi brand. In 2018, it signed the partnership agreement with Dongfeng Liuzhou Auto and became the full brand agent company. By virtue of its accurate & fulfillment innovation and event execution capability, ADAO receives the trust from Dongfeng, and provides the agent business including SUV, commercial auto and new energy auto. In 2018, it became the member of 4A Association. Through the platform, ADAO will promote the enterprises to vigorously develop, continuously enhance staff’s professional quality, nurtured more excellent AD talents and try its best to help Chinese brands develop. In 2018, it successfully joined into Board of supervisors of Advertiser Business League. ADAO will work together with all supervisors, develop the intelligence, gather the AD force and push forward the Chinese AD career with superb achievement and insistent efforts. In 2018,ADAO Advertising became a member of China Advertising Agencies Association. ADAO will continue to enhance the core competitiveness of the creative via the platform of the association, increase the quality and happiness of employees. We strive to work for more brands and enterprises’ success and for the continuous upgrading of China's intellectual creation! In 2019, a contract is signed with FAW Bestune to be the agency of the whole case of public relations of FAW Bestune in 2019, helping the brand improve to a high level. In 2019, the company signed a contract with Lynk&Co and obtained the agency to set up and operate the annual E-class auto show of Lynk&Co in 2019, supporting Lynk&Co to carry out offline auto show business. We are a full case advertising company with innovative force, cultivating the automotive industry. We have always been committed to outstanding intelligence and excellent execution, letting the client’s brand communicate with the world. 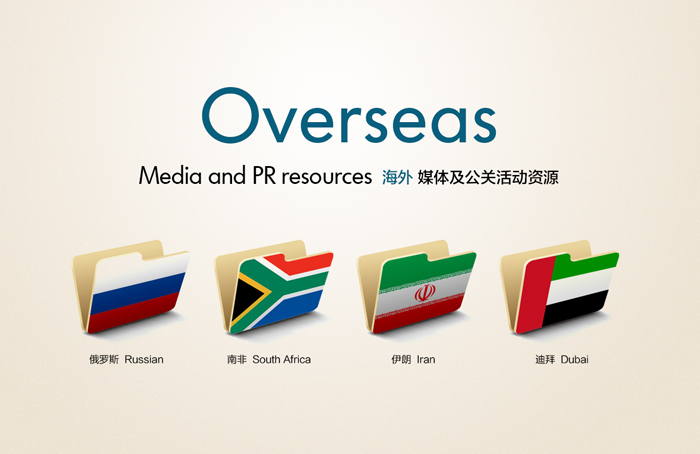 ADAO has been involved in the overseas market for many years, with offices in Russia, South Africa, Iran, Dubai and other countries, possessing a wealth of overseas media and public relation event resources. Block D, 9th Floor, Vantone center, Chaoyangmen Outer Street A6, Chaoyang District, Beijing, China.